So, if you live in the world, you are probably using some kind of national currency like INR, USD, GBP, or EUR. Some national currencies (like USD) have a “cent”, which is 1/100 part of the currency. Similarly, in the world of Bitcoin, there are very small currency units. In this article we will learn everything about our beloved “Bitcoins” & it’s units. 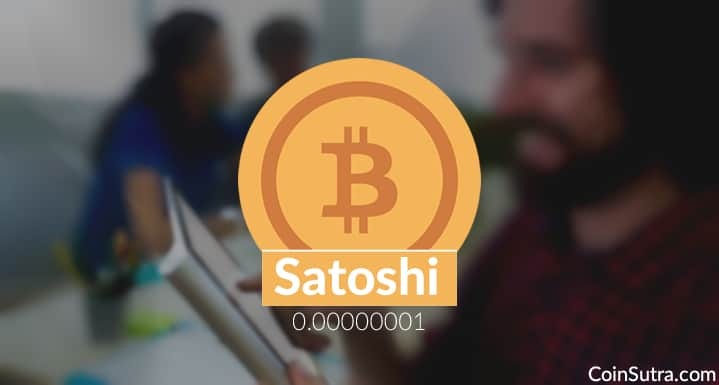 Bitcoin, the world’s first cryptocurrency, has a unit called “Satoshi”. A Satoshi is the smallest unit of Bitcoin. It is named after Satoshi Nakamoto, the creator of Bitcoin. Each BTC is divisible until the 1/10^8 part. A unit of Satoshi is equal to 0.00000001 bitcoin. Since Bitcoin’s inception, it has only ever had two official units- Bitcoin and Satoshi. In 2015, Bitcoin was included under ISO 4217 which does standardization for currencies. This above-explained currency conversion system can be cumbersome and difficult to understand. Though the conversion involves just moving decimal places here and there, it has to be done carefully, otherwise while receiving or sending bitcoins, you can lose a significant amount. Some do-it-yourself tools are available to make this conversion simpler. We use this tool for Satoshi to bitcoin conversion and highly recommend it (free to use). Another factor which affects conversions is the fluctuating rate of fiat currency and Bitcoin. This fluctuation is based on supply and demand in the market, which makes it harder to calculate the exact amount you need to send or receive. For such conversions, special calculators are used which keep track of all the fluctuations under the hood and gives you accurate conversion rates. With the use of such two-way converters, you can transact quickly and efficiently. We recommend you to use this converter for converting Satoshi to USD or any other fiat currency like EUR, CNY, GBP, or INR. Find this post helpful? Share it with your friends! 1 What is a Satoshi? How much time convert satoshi to bitcoin? I transfer 500000 satoshi to my zebpay a/c. Depends on lot many factors.